Breakfast is often regarded as the most important meal of the day. Therefore, it is only fair that you put in all your efforts to make it wholesome, delicious and healthy. Pancakes, one of world’s favourite breakfast staple, offers a lot of room for creativity. They can be sinful and delicious and at the same time healthy and wholesome. They are also super easy to make and so you may think. Well, there are instances when you can go wrong, which can ruin your entire experience. After all, no one likes the taste of a burnt or undone pancake right in the morning. 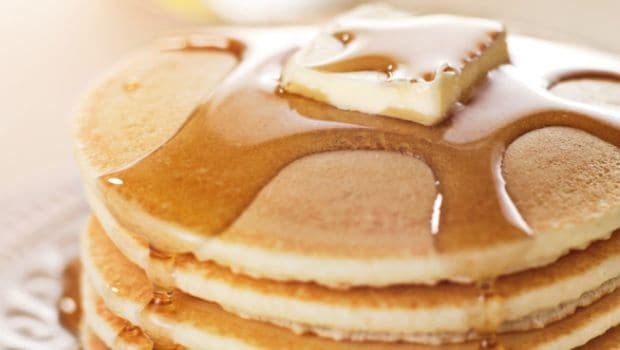 But don’t worry, with these fool-proof tips you can get the perfect pancakes, that are golden brown on the outside, light and fluffy on the inside, and crisp on the edges. Take all dry ingredients together in one bowl, and whisk the wet ones in another. Make a well in the dry ingredients, and pour the wet ones into it gently. Stir only till the ingredients are just moistened. The gluten in the floor tends to develop as soon as it comes in contact with the liquid. 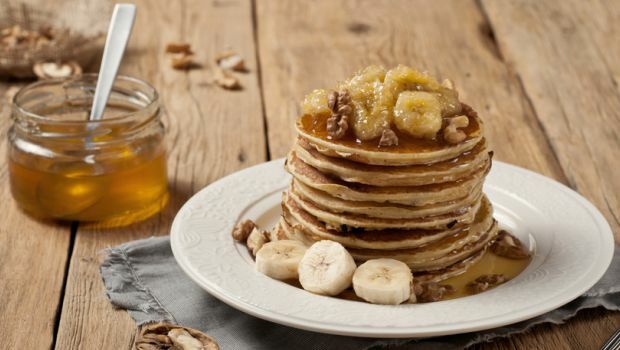 With over mixing, the gluten becomes tough, giving you tough and chewy pancakes. Resting your batter for about half an hour before cooking your pancakes is important for light and fluffy pancakes. This allows the starch cells to swell up with the moisture which will burst when they hit the heat giving the much loved fluffy lightness. It is recommended that you pour the batter on to the pan, only when it is sufficiently hot. However, make sure that the pan is not smoking hot for the pancakes else they’ll turn brown very quickly and may remain under-cooked. You can use a minimal coating of butter. Unsalted butter, for its whey content doesn’t burn so easy. A mix of butter and oil is also less likely to burn so easily. For even heat distribution , it is recommended to use a heavy non-stick griddle or well-seasoned cast-iron skillet. After pouring the batter on to the pan use a ladle, measuring cup, or squeeze bottle to portion out the batter. You can also make a small test pancake at first to check the temperature and regulate accordingly. While we understand your excitement to just dig into your pancakes as soon as possible, it is essential to know that you must not flip them too soon and flip them too often. 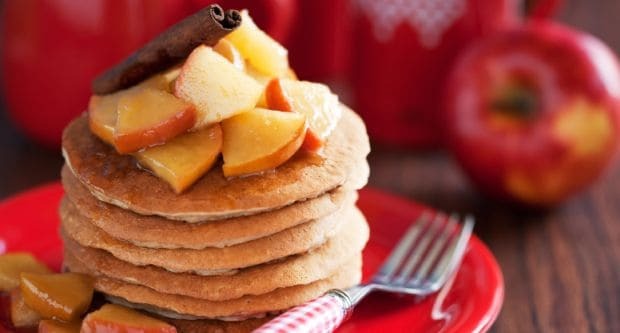 A good pancake needs to be flipped only once (unless you have been too hasty in giving the cakes their first flip). You can turn it over when it’s dry around the edges and bubbles have formed over the top. You can also give a quick peek to see if the bottom is golden brown before you flip it. The second side tends to cook faster than the first as your pan is sufficiently hot by then. 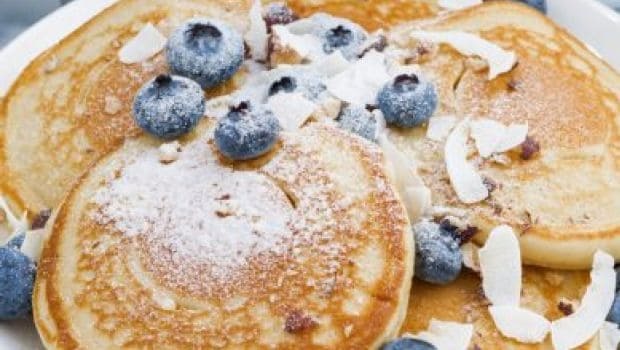 New to cooking pancakes? 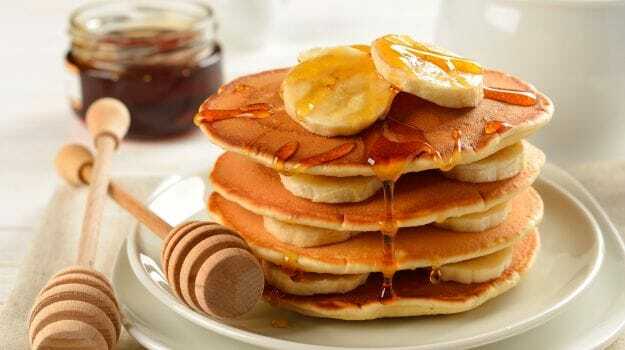 Try making these soft banana pancakes for breakfast with the goodness of bananas and vanilla essence . This recipe by Manju Mallhi is so easy to make and so delicious.